This product is a digital file. I will personalized it for you. 1. Place an Order by clicking “Add to Cart” and completing checkout. This listing is for a high resolution PDF file, 300 dpi for quality printing. You will get a PDF file to print on letter size 8.5 x 11. Size is 8 x 10 inches. 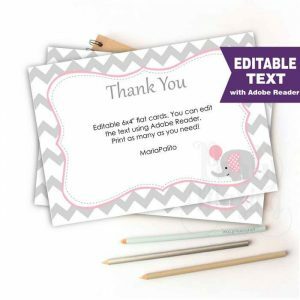 Editable Printable Party Favor Bag Toppers * Just Edit , Print, Cut and ready to go! * You are ordering a High Resolution 300dpi PDF format ready to be print. * You can print in 8,5″ x 11″ Cardstock or Sticker paper. INSTANT DOWNLOAD!! EDIT WITH LATEST VERSION OF ADOBE READER!! PRINT AT HOME!! *Editable 5×7 Bunting Banner – Digital File. * PENNANT FLAG SIZE 5×7″. You can print 2 flags per page. Just Print, Cut and ready to go! 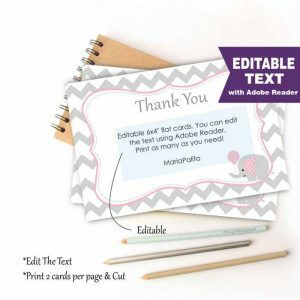 DIY * Printable Editable Thank You Card * 4×6 inches * Edit, Print and Go! 2. INSTANT DOWNLOAD – No waiting! You are ordering a High Resolution 300dpi image Editable PDF format ready to be print. You will get 3 files including the Editable file for the toppers and the cupcake wrappers. You can print in 8,5″ x 11″ Cardstock.